Screen Memories (2017): digital print (238cm x 168cm). 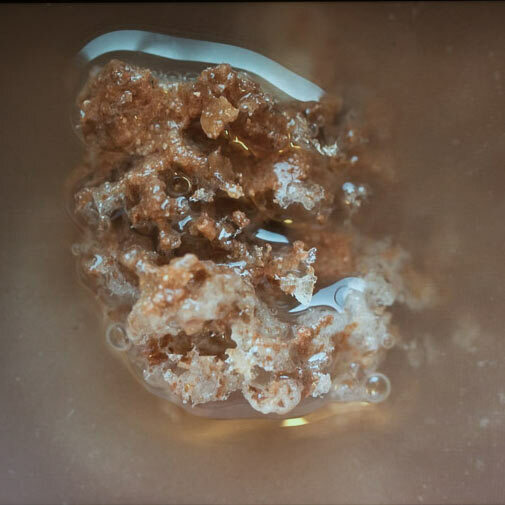 Screen Memories was produced for Spectral Ecologies, an ongoing research project and exhibition that explores the changing technologies of cinema as a method for creating and perceiving the worlds that surround us. 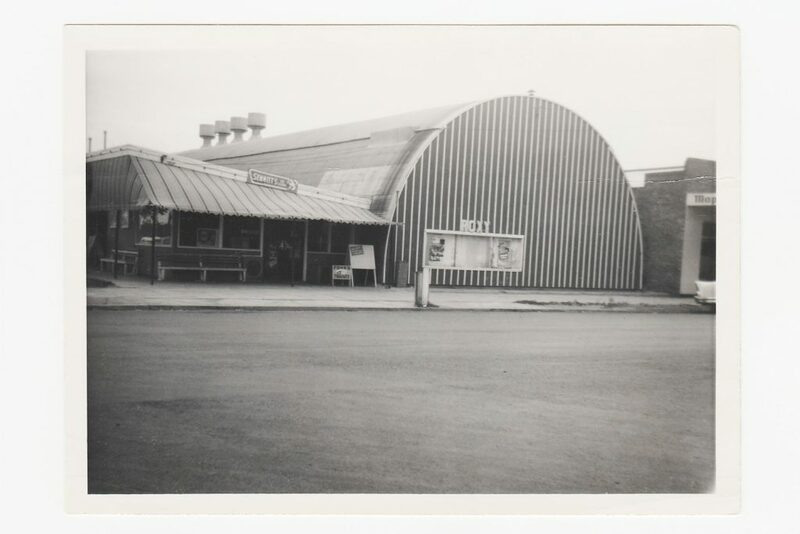 Nulty’s Pictures operated a travelling cinema circuit during the early twentieth-century in the Mallee: a remote and semi-arid region of Victoria, Australia. 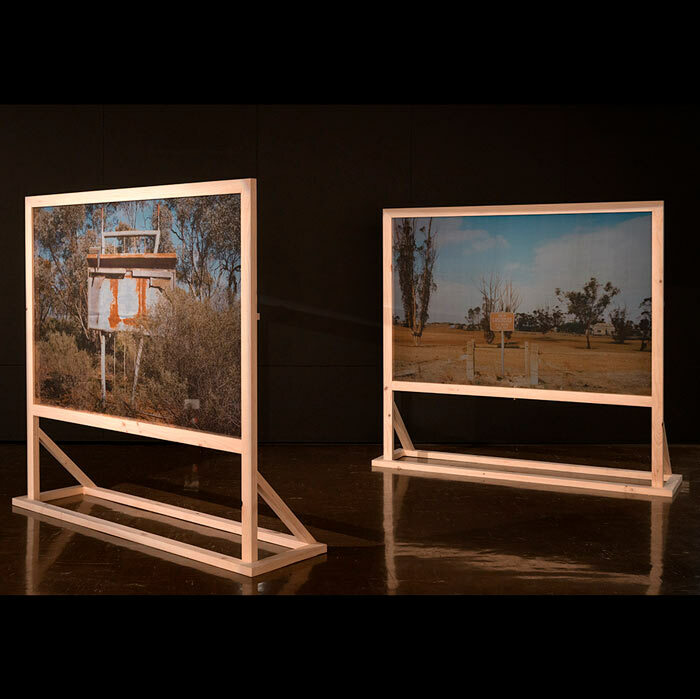 As part of his research for Spectral Ecologies, Sam Nightingale visited almost every location in which Nulty’s Pictures projected a film, documented each site as he found it. 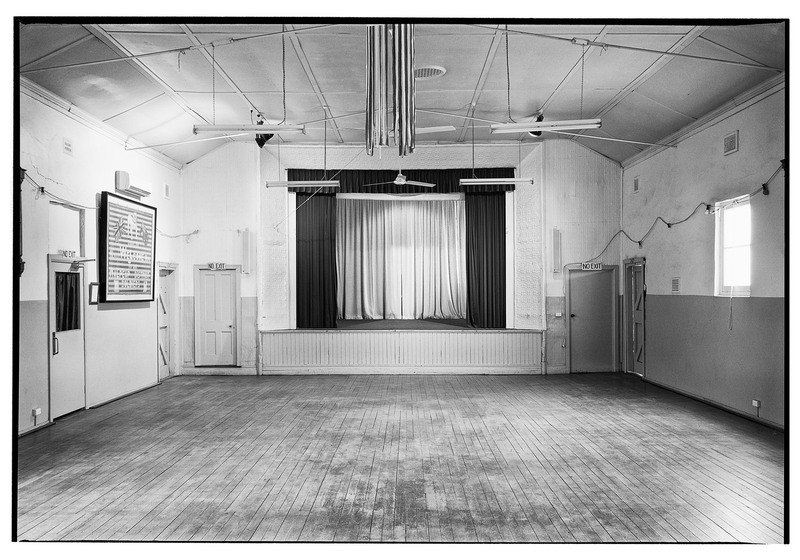 The origins of Nulty’s Pictures is reflected in the photograph of the interior of the Walpeup Memorial Hall entitled, Screen Memories (2017). It is here that Jim Nulty first began to screen films in the late 1920s having received a projector in payment of a debt. The story of Nulty’s Pictures is also told through Screenplay (2017) produced through a lengthy correspondence with Sue Nulty (Jim’s grand-daughter) and the video, The Story of a Picture Show Man (2017). Screenplay (2017): photocopied paper, 13 pages. 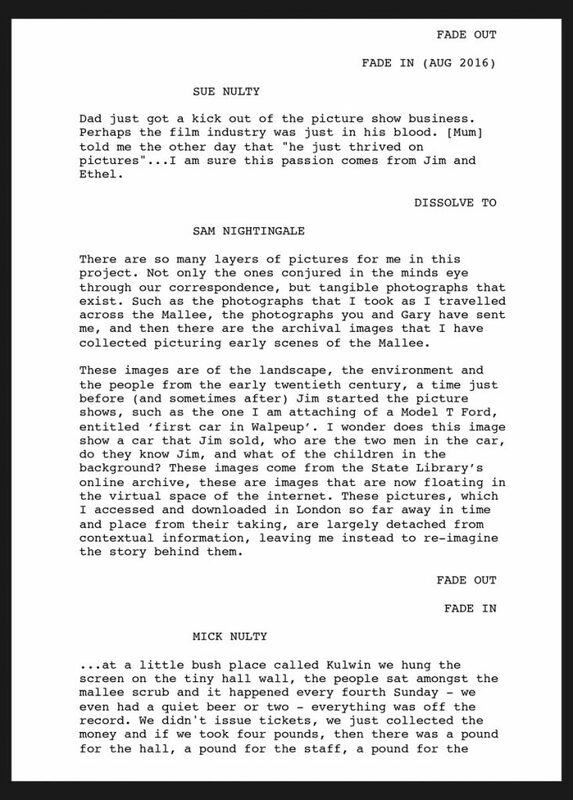 Screenplay weaves together parts of the correspondence between Sam Nightingale and Sue Nulty, the daughter of Mick Nulty (and Jim’s grand-daughter), and who grew up in the movie business – the Roxy, Robinvale and later the Robinvale Drive In. The correspondence is interspersed with passages from Mick Nulty’s own reminiscences of the early days of Nulty’s Pictures recorded in the 1980s, kindly provided by Sue Nulty. 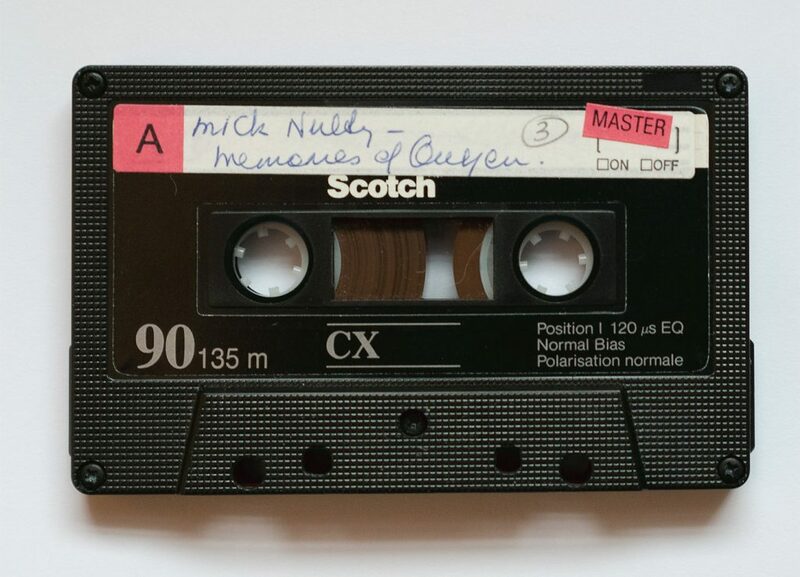 Left: Tape cassette of Mick Nulty's memories of Ouyen, courtesy of Sue Nulty. 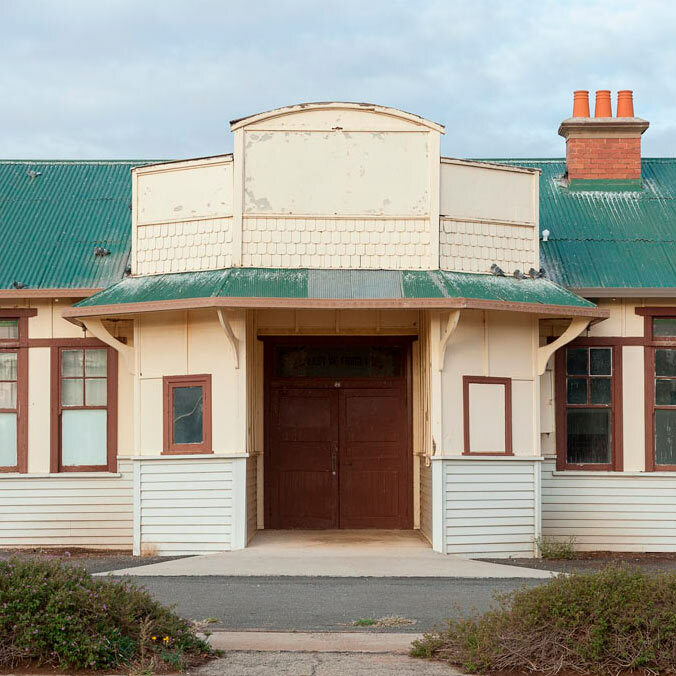 Right: Archive image of Roxy, Robinvale where Sue Nulty grew up with her father Mick Nulty, courtesy of Nulty Family.